You have just purchased a new and shiny iPhone and you are pondering how to keep it safe from the adventures of your daily life? 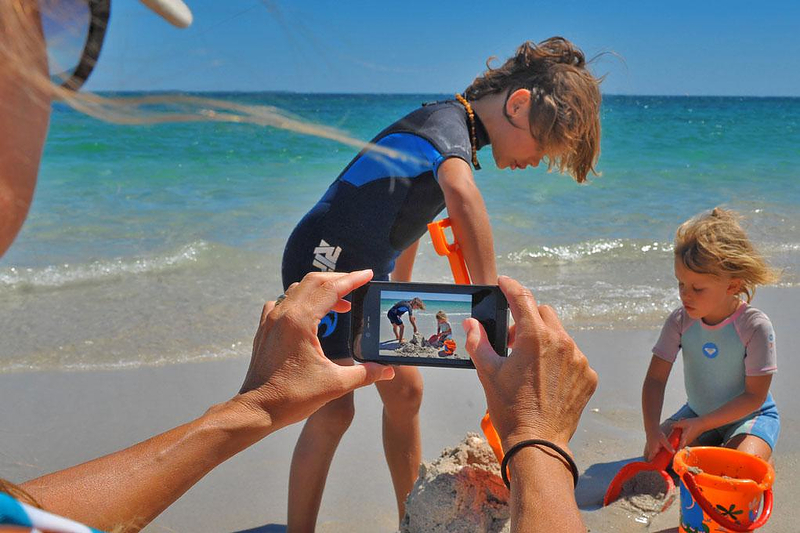 The LifeProof waterproof iPhone case is perhaps the most sophisticated case ever built for the iPhone and will keep your precious new toy safe from just about everything. 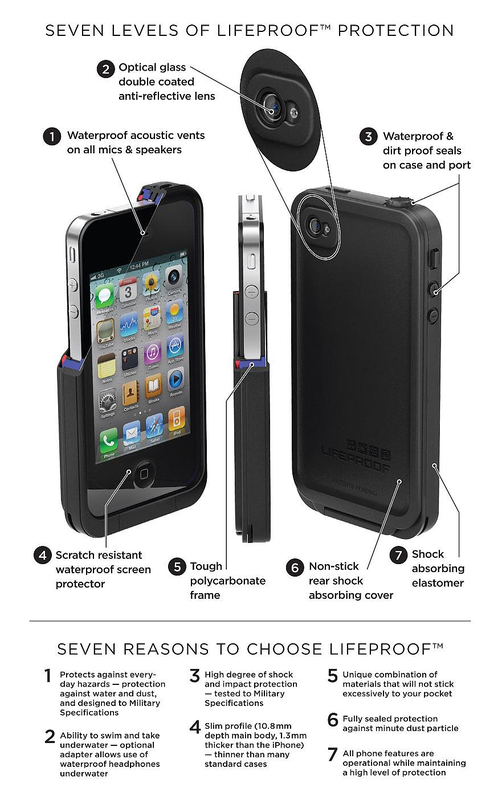 The LifeProof iPhone case delivers the highest level of waterproof, shock-proof, dirt-proof protection in an incredibly low profile and weight, mere 1.5mm increase to each edge and 28 grams weight. 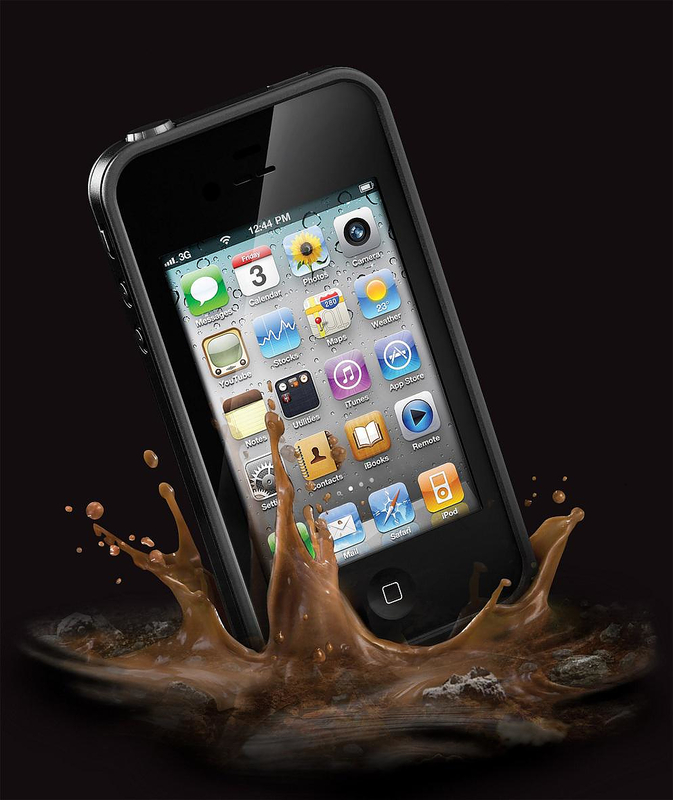 It renders the iPhone completely waterproof up to a 2 meter (6.6ft) depth and meets the IP-68 rating. 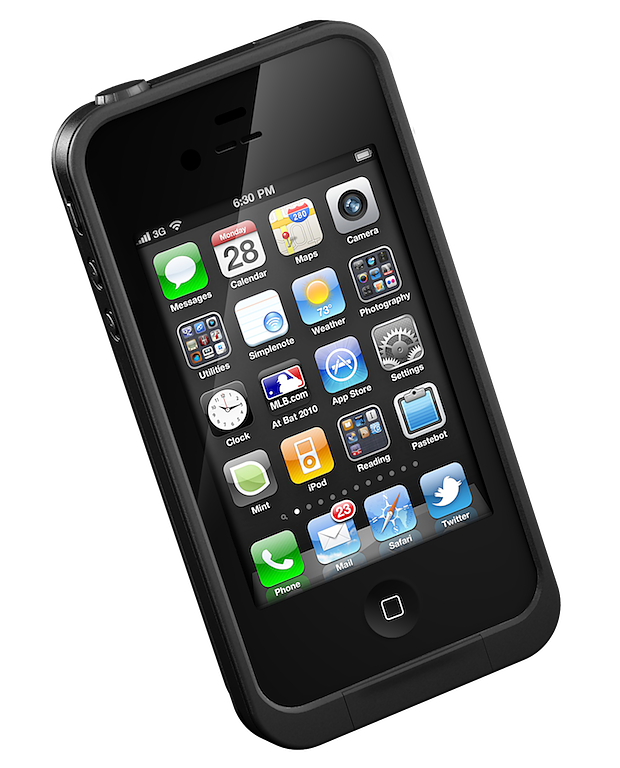 The IP-68 rating is intended to certify military electronic devices. It includes 26 tests some of which require the device to fall from a height of 2 m to concrete surface with all possible angles. 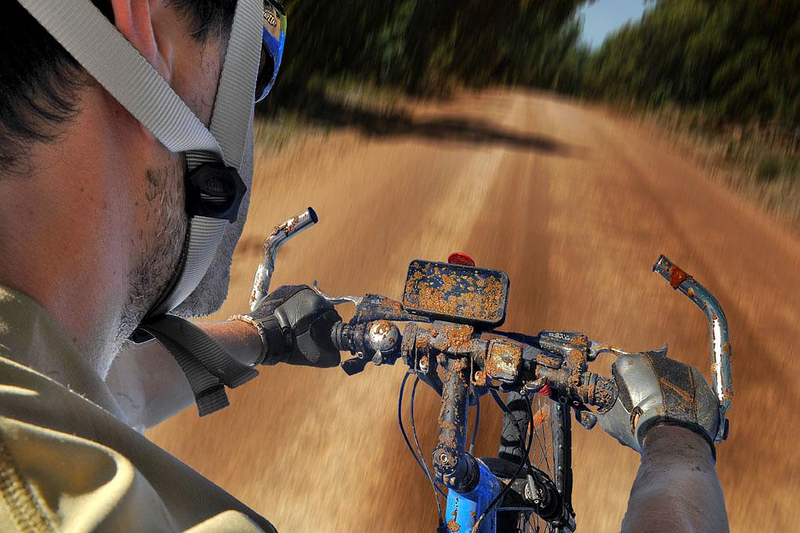 Essentially it is the most rigorous military specification for dust, water, shock and impact protection. 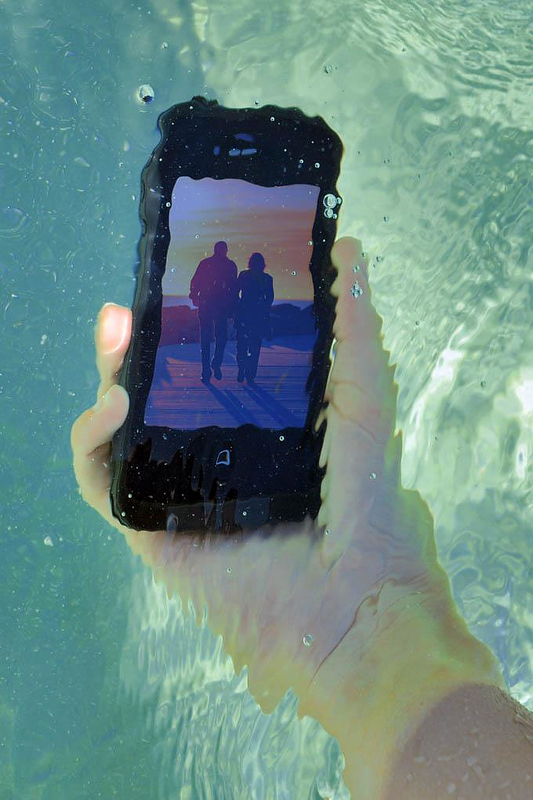 With the LifeProof waterproof iPhone case you can literally take your iPhone anywhere, anytime, and do anything with carefree freedom. The creation of such a small case that offers such complete protection, involves the use of some impressive technology. All phone features are operational while maintaining a high level of protection. The case is fully sealed against minute dust particles. The speakers and microphones of the phone are protected by special waterproof membranes that do not impede the transfer of sound. The cameras and the display have double AR- coated (anti reflective) optical glass lenses that are also scratch and impact resistant. Finally, the body of the phone is encased in a polycarbonate frame further reinforced with two layers of anti-vibration materials that cover accurately every button and switch. Even the headphone plug is waterproof and remains usable underwater. So if you have waterproof headphones you can get the optional Swimming Headphone Adapter and listen to music while you swim! 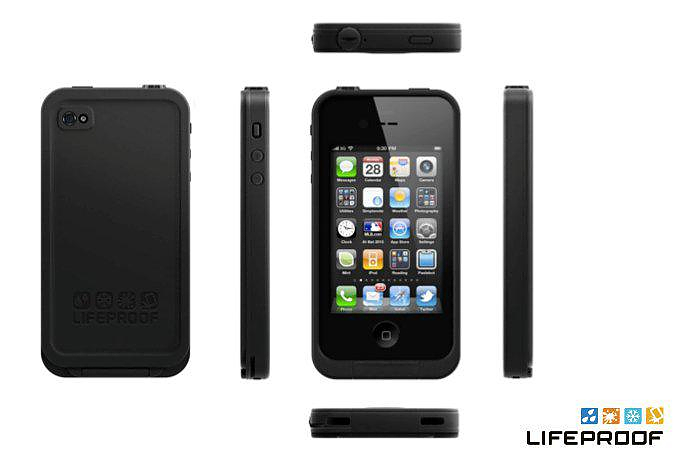 The LifeProof waterproof iPhone case is one of the best accessories we have seen for the immensely popular iPhone. It protects the iPhone from everything while remaining sleek, refined, convenient and unobtrusive. Such complete protection presents iPhone users with new possibilities, such as listening to music in a swimming pool or taking pictures under water. Forget the simplistic bumper cases and the dubious screen protectors, this is the ultimate iPhone case.